Do you need a headshot? For a dating site? Just to look cool on Facebook? To show your professionalism on LinkedIn? As an actor working on his resume for the off-season? Have I got the contest for you! 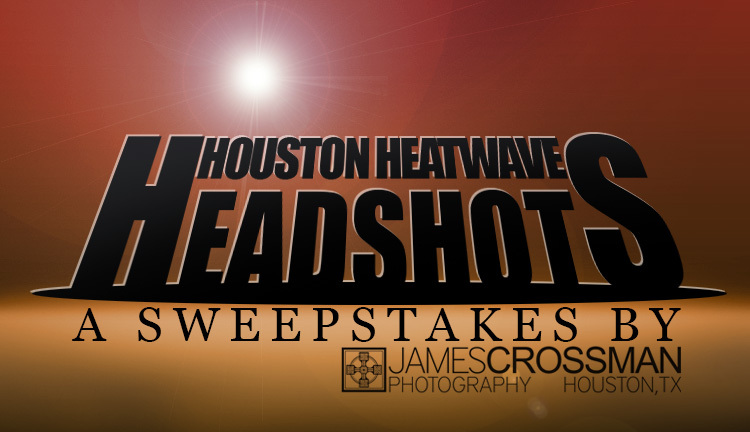 Starting July 5th, we will be giving away one of our Headshot Sessions (a $395 value) away each week for the twelve hottest weeks in Houston. To join, just go to the contest page on Facebook, like the page and let us know how to reach you if you should win. Only one entry each seven days and you must be in the greater Houston Area to win. What are you waiting for? Go enter already! This entry was posted on Thursday, June 27th, 2013 at 5:32 pm. It is filed under Headsots and tagged with Facebook, Headshot Sessions, Houston, Houston Actor Headshots, Houston Area, Starting July. You can follow any responses to this entry through the RSS 2.0 feed.